Hey There! I'm doing a noncredit certified online course on Fashion Industry Essentials at Parsons School of Design and Teen Vogue. I'm very blessed and thankful to be able to have a chance to join this program. For my assignment I was asked to talk about my future career goals, responsibilities and one skill I need to develop to be successful in achieving my goals. As school begin to closed and summer jobs awaits. I begun doing a job search in my passion for fashion. I ran across one of my dream job in Kate Spade for an Fashion Editor. Yes! Kate Spade, I know what your thinking but I love the idea of crisp color, graphic prints, and playfully sophisticated fashion. Kate Spade & Company has over 168 retail shops and outlet stores across the united states and more than 87 shops internationally. From handbags and clothing to jewelry, fashion accessories, fragrance, eyewear, shoes, home decor, desk accessories it's a creative brand that speaks "living colorfully". A typical day and responsibilities of a Fashion Editor are handling management of all styling needs including internal showroom walkthru's, e-commerce photo shoots, social media messaging, and ad project. Partnering up with creative teams to concept and execute on fashion stories and any product messaging to highlight the most important seasonal messages. Being a fashion editor I would to perfect my skills take on daily tasks of merchandising, design, and consistent meetings with buying teams to maintain an in-depth knowledge of monthly collections, key investments, and high impact pieces. Partner with the public relations team to ensure alignment on key fashion messages each season through all outlets. Partner with the visual merchandising team as needed to carry key messages through specialty and wholesale. Create and maintain all styling documents – including market coordination, credit, and styling. However having god by my side I was blessed with many opportunities to graduate high school, volunteering for fashion shows, internships, working part time at retail stores, getting my online certificate in Fashion Industry Essentials, and also working as fashion merchandiser and becoming a boutique owner to help learn and grow my skills to one day becoming a Fashion Editor! One of the skills I'm currently working on strengthen is reading more while multitasking around working and being a creative director for my blog. 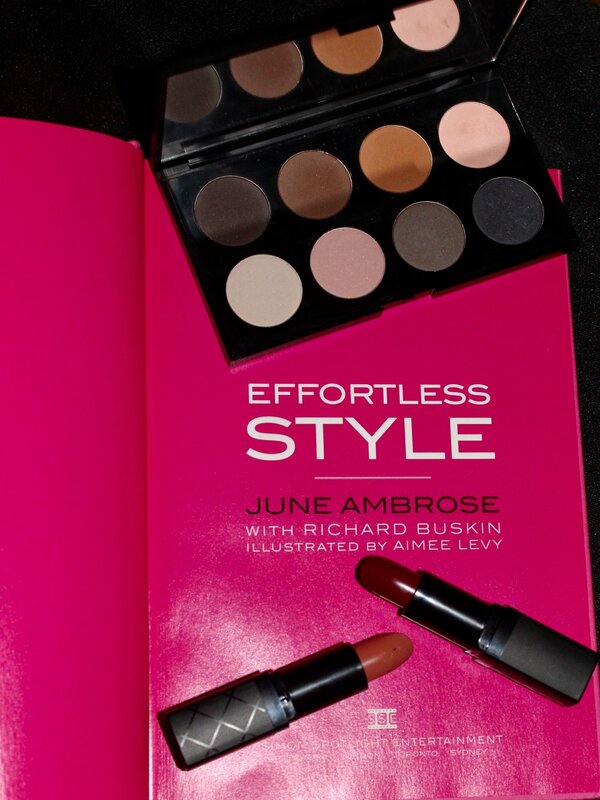 I find reading helps me be more focus and goal oriented my top favorite book I highly suggest for all #Fashionista and #Stylist is EFFORTLESS STYLE By June Ambrose. Amazing book with illustrations to helping you answer inner questions about Who am I? Who does want to be? with confidence and enriching your life through a wardrobe. I recommend this book to all my readers.